Dr Ken Dolynchuk conceived of Ageless Cosmetic Clinic to provide state of the art care for his cosmetic surgery patients twelve years ago. You can now receive the same care whether you have cosmetic problems or not. This is because everyone can experience a total care approach during your visit to our relaxing spa-like clinic. All the staff are helpful and will provide information and coordination of your planned program of treatment in a personalized manner. This one stop aesthetic approach will be appreciated by patients with busy schedules and limited time who demand excellence in outcomes. 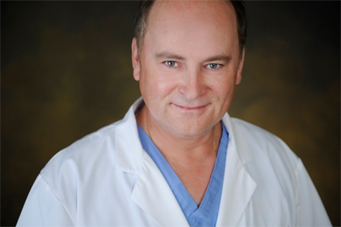 Dr Ken Dolynchuk is trained and board certified in the U.S and Canada. He is on staff at the University of Manitoba for 27 years and is recognized as an international expert on wound care having published extensively. As a result he has brought new hope to patients with visible scars using ErYAG, NdYAG lasers. Prevention of unsightly scars in surgical and trauma patients is possible with his invention of V-Stat (Fibrostat). Also he continues to bring innovation to keloid scar therapy with the use of 5-FU injection and ProFractional laser treatments. Away from home he is Medical Director at False Creek Skin Solutions. In addition he does aesthetic and minor surgery in-office at Lonsdale Skin and Laser Clinic in Vancouver. For the past ten years cosmetic surgery has been his focus. As a member of CLASS, the Canadian Laser Aesthetic Specialist Society, he was one of the first accredited laser safety officers in Manitoba. Since 2001 he been using cohesive gel implants in breast augmentation and reconstruction in conjunction with Bellus 3D imaging. Recently, skin and fat contouring using Exilis, a noninvasive effective treatment, has been introduced in the clinic. Along with PRP micro-needling, he has been combining PRP with hair rejuvenation, fat grafting and anti-aging skin treatments. The list of non-surgical skin options offered are Hydrafacial, Mesotherapy and GrenzCine. Also this includes use of fillers and neuromodulators such as Botox. Having over a decade of experience with ultrasonic liposuction, Dr. Dolynchuk has recently updated his VASER Liposelection® device in order to achieve better results in cellulite and body contouring patients. Dr Dolynchuk cares for his patients with the traditional bed-side manner of a competent compassionate physician. As well, he provides state of the art technological capability to all areas of his clinical repertoire.